I was contacted by Down Skis to undertake a lengthy project working with them to build a website and assist them with production of their topsheet graphics. 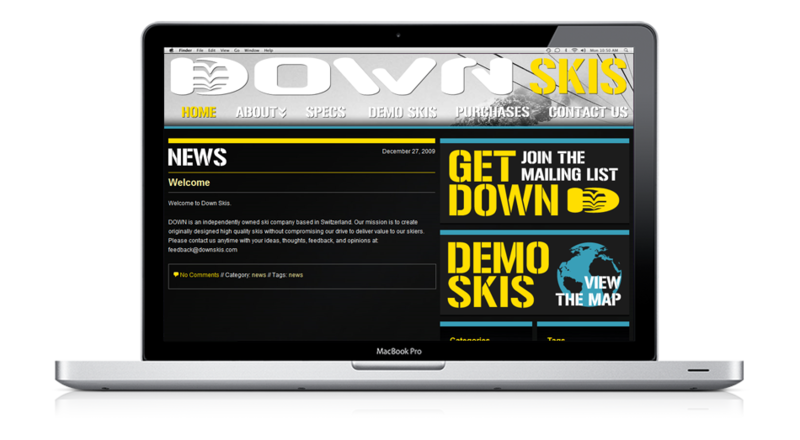 This section of the project consisted of designing and building an online presence for Down, an exciting new Switzerland-based freeski company. Down is run by skiers, and aims to sell high-performance skis at an exceptional price point. The site was built as a custom WordPress theme, and allows Down to control the content internally. Google Maps has been integrated to allow Down to display ski demo locations in real-time. You can visit Down Skis here.